Evelyn Gertrude Ehlers was born on November 16, 1914 in rural Friedensau, the German name for Peaceful Meadow, precinct in Thayer County Nebraska. She passed away peacefully on January 17, 2018 in Denver, CO.
Evelyn attended Friedensau Lutheran grammar school and graduated from Hebron High School. Completing Business College in Lincoln, NE gave her skills she used her entire life. She worked in Lincoln until moving to Denver, Co where she worked for the FAA until she retired. She was a long time resident of Denver and was very active at Mt. Olive Lutheran church where she enjoyed singing in the choir. Evelyn was preceded in death by her parents, Martha & Emil Ehlers and 11 siblings. She will be remembered by her many nieces, nephews and friends as a kind and loving soul with a great sense of humor. 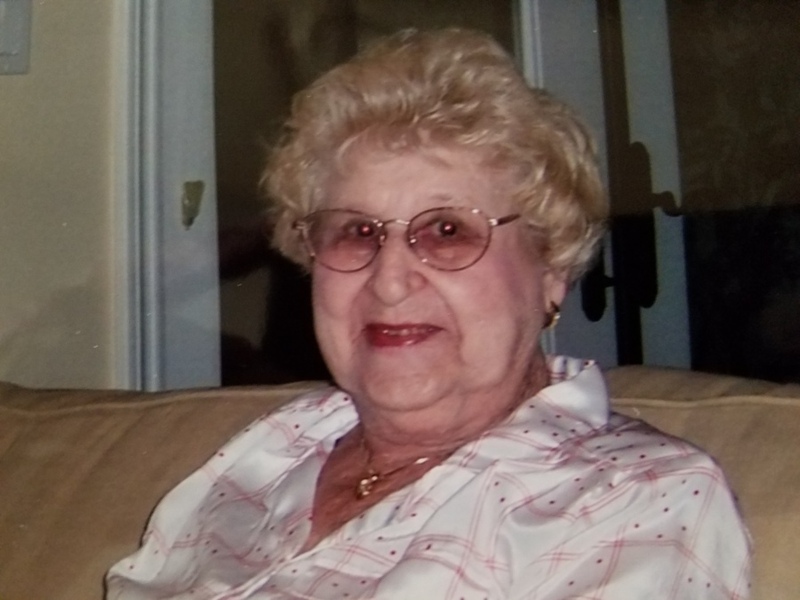 She enjoyed conversing on many subjects, including sports and the Broncos. Her adventurous spirit led her to enjoy travel in this great country and abroad. Her last years were happily spent at Dayton Place in Denver. She was cremated and her ashes will rest beside her much loved parents, Emil and Martha (Rucklos) Ehlers, in Trinity Lutheran Cemetery, Friedensau, Nebraska.